I love chicken tenders. I am not ashamed to admit that on the rare occasion that I eat fast food, I always go for the chicken tender. Not sure why, but I do. I love the crunchiness of the outside and the piping hot chicken on the inside. And I love dipping anything in a mixture of yellow mustard and ketchup. Or bbq sauce. 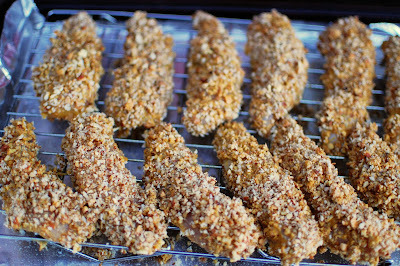 So when I saw Michelle post these crunchy nut encrusted chicken tenders I knew I had to make them. What a great way to get my chicken tender fix in a healthier manner! Not only do they use ground up nuts for the coating, they’re baked not fried. Anything you make at home is going to be MUCH better for you than something from a fast food chain. I just used the ingredients I had on hand and they came out great. 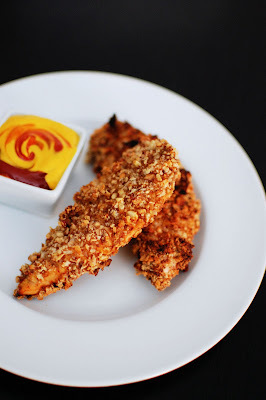 I had a pretty big thing of chicken tender meat, so Hubby and I enjoyed these for a couple days in our lunches too. 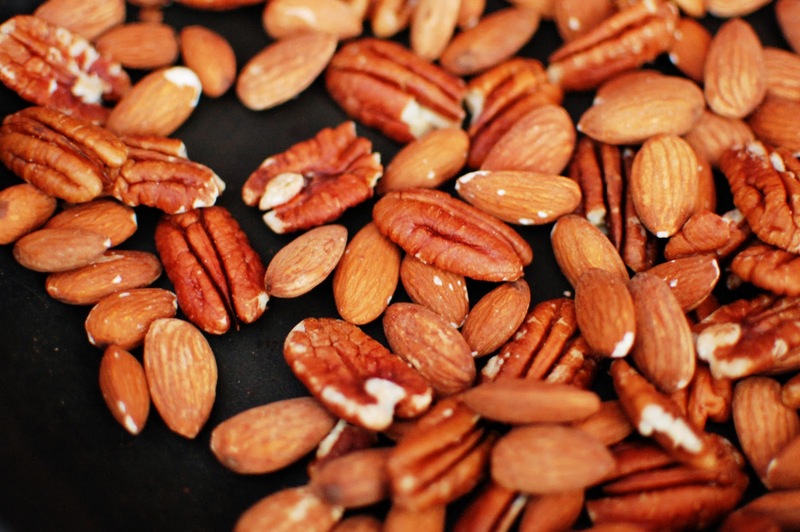 I always always toast nuts before using them in any recipe. It’s just a habit, but I love how it brings out the nuttiness of nuts more so than just using raw nuts. 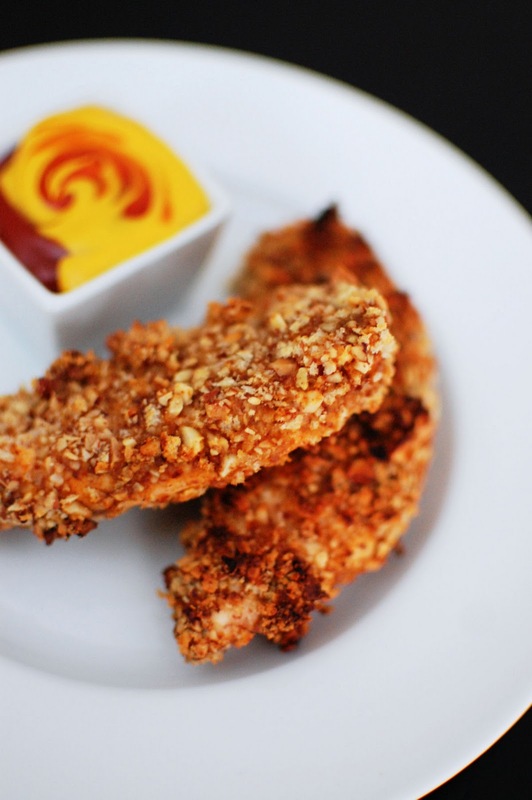 These chicken tenders are crusted with a variety of nuts instead of breadcrumbs! Preheat oven to 350. Line a pan with foil and place a cooling rack on top of the foil. Pulse nuts in food processor until they resemble course bread crumbs. Be sure not to process too much, so you don't make a nut butter. Combine the remaining ingredients in a shallow dish. 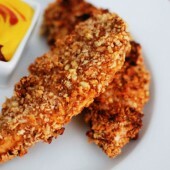 Dredge the chicken tenders through the mustard mixture, then coat with nut crumbs. 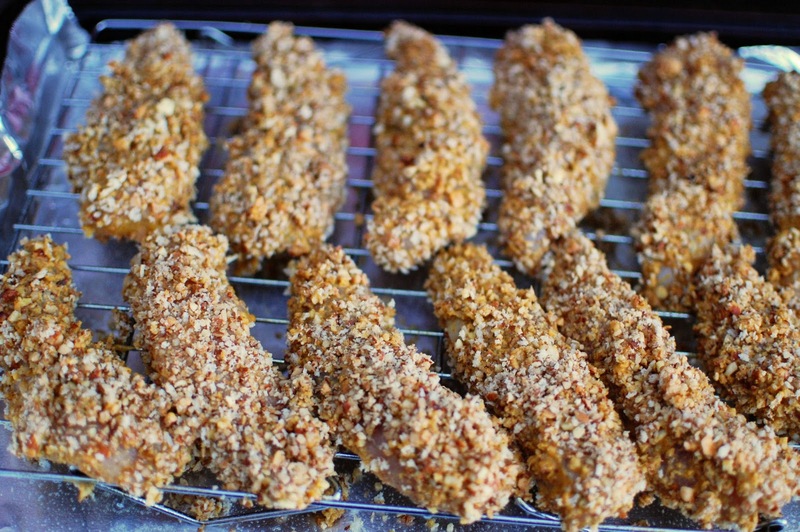 Place on cooling rack (using a cooling rack will result in a crispy chicken tender). Repeat until all chicken tenders are coated. Place pan of tenders in the oven for 15 minutes. Flip tenders and cook for an additional 15 minutes. Glad you liked it! 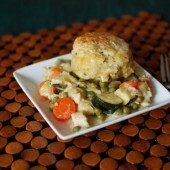 I really enjoyed the simple, fresh flavors of the veggies. yum! i am bookmarking this!